March was an interesting month, cold periods with snow cover, a few warm days and to round off the month continuous rain on the last day. In most cases growth is delayed compared to last year. So here is the March round up of everything that has been happening in the garden. Everything is all so very different to last year here are the main differences. This time, last year, all of the daffodils in the main patch were out. This year there is one out and that is an aberration. The Pieris was already started to put out the new red-shoot growth, this year there is no sign of this yet. The Anemone blanda had flowered already, but this year the buds are developing still. The Forsythia is just starting to bud, last year it had already flowered by the middle of the month. 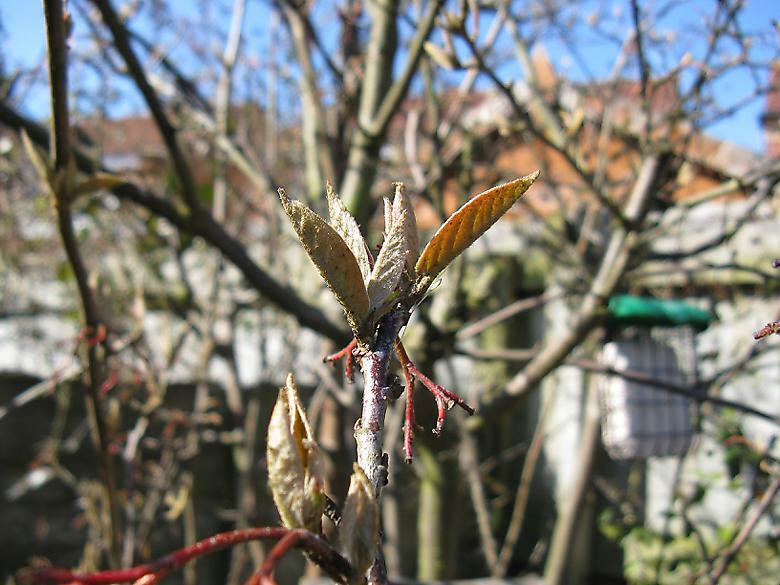 The clematis had flower buds, this year the leaf buds are just getting going. 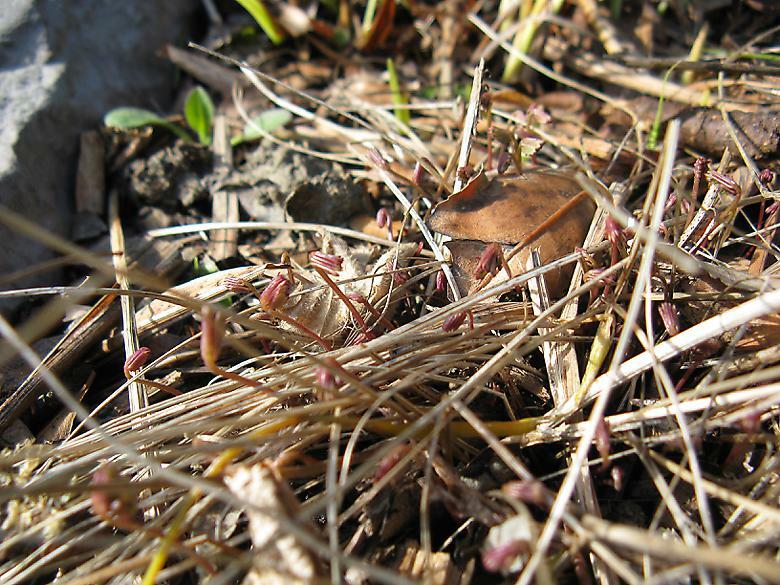 Last year there were many Muscari flowering in the main clump, this year the flower buds are still hidden by the leaves. 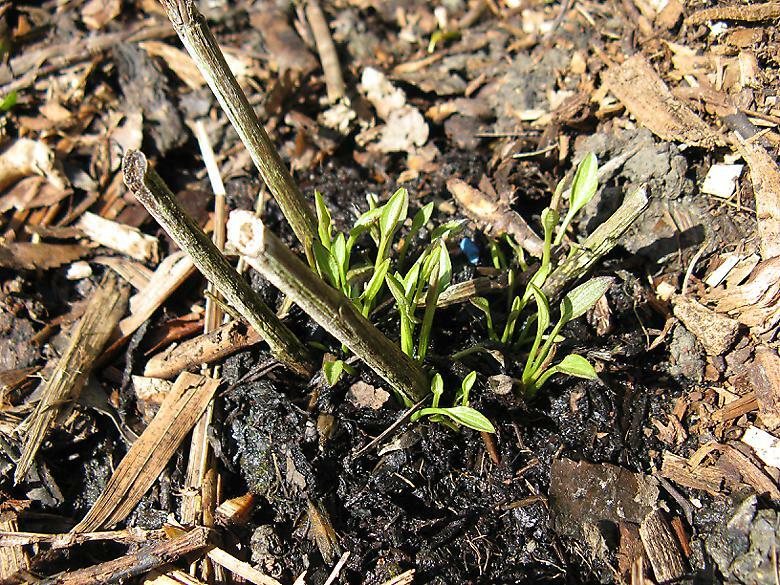 The tip of a shoot from the Lovage can be seen, whereas last year there was a shoot about a foot high with leaves. The corkscrew Hazel catkins on the other hand opened up at pretty much the same time as last year. This year there is going to be a lot of planting. I managed to plant most of the plants that were waiting. Four of the six plants from the Penlan perennials order leaving the Geraniums for later. Plants that I bought locally over the last few months that have been standing out in pots including Helenium 'Siesta', Rudbeckia 'Little Henry', Brunnera 'Looking glass', Sidalcea 'Little princess', Campanula 'Samantha'. 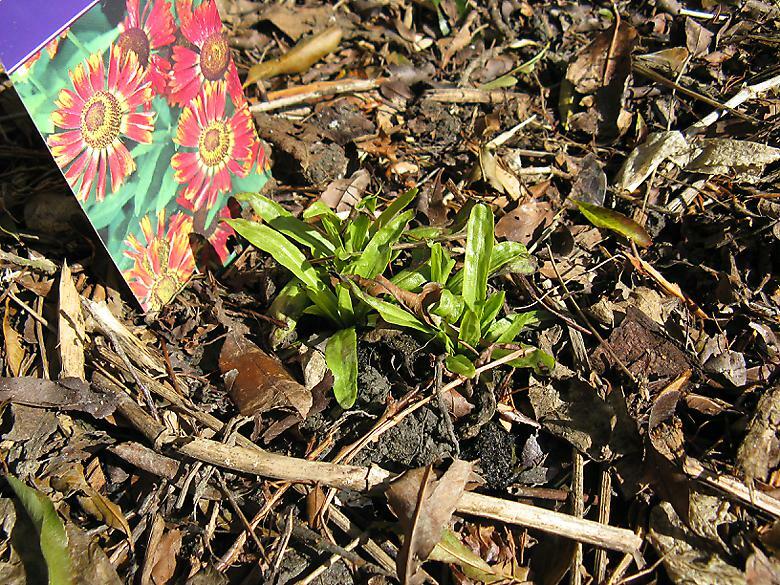 From Aldi I had two bare root Phlox and three Echinacea there are now planted. One of the Lupins that I got from The Range was planted too. 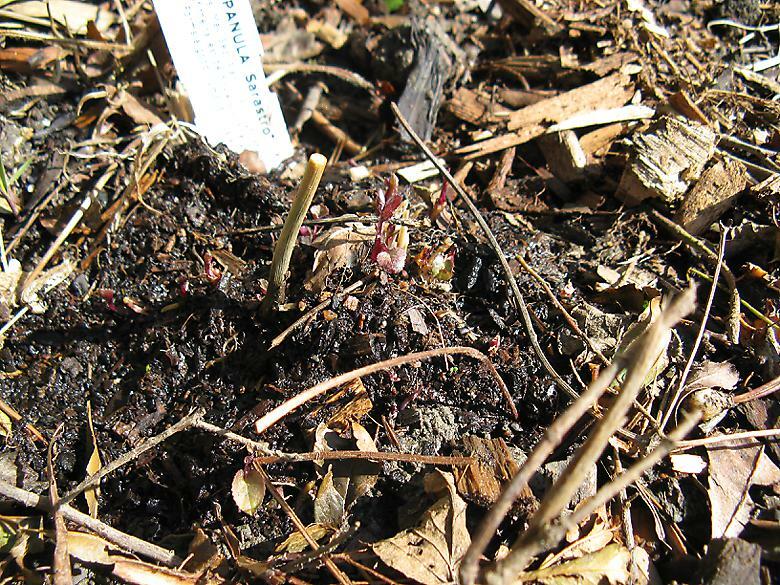 Finally I planted some Liatris bulbs - fingers crossed for some better results this year. A better result would mean a single flower, so not a high bar to clear. The Snowdrops were flowering throughout the month, some of them seemed to be hit by the bad weather and are looking a bit shabby - but perhaps they were just coming to an end anyway. Like last year a few of the existing Crocuses flowered, but most have not. I planted a packet of bulbs in various places and these have flowered. Crocuses can look great when in a large group, but they can also quickly get knocked down and look untidy. For next year I will plant another bag of bulbs where they are working the best and in among the daffodils too. I bought a number of Primroses and these have been great, particularly the yellow and purple ones. 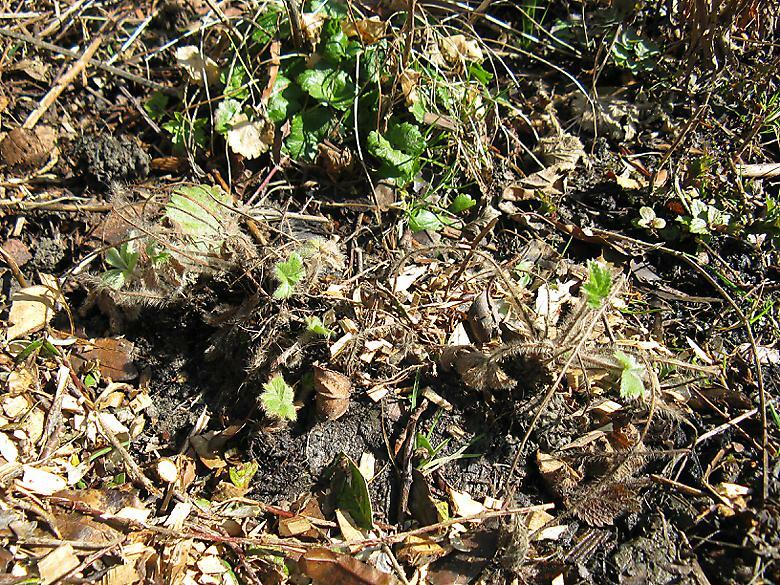 I like the Winter Aconites and I will probably get some more for next year and encourage them to spread around assuming that they survive. A few of the muscari outside the main patch are starting to flower, but not so that you would notice, so it is fair to say that flowering has been delayed to April. The winter jasmine is still flowering although not impressively so. 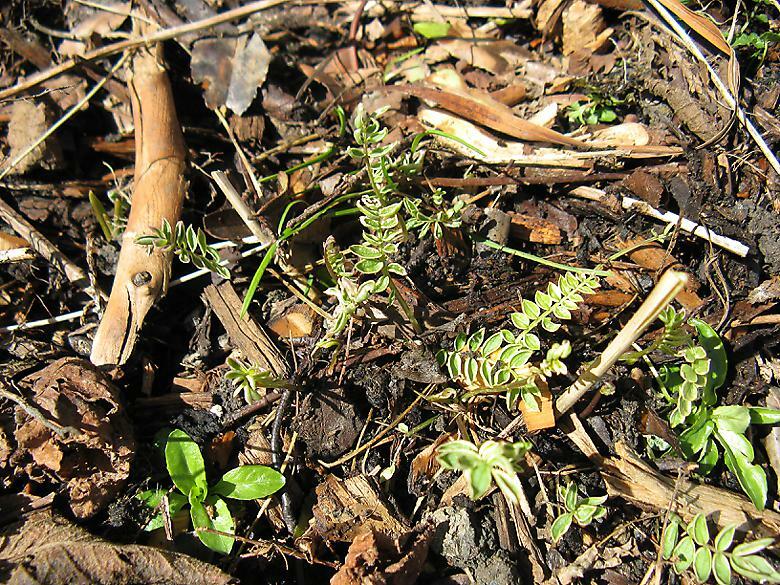 This Polemonium was earlier showing new leaves but was set back during the cold spell. On investigation, this little piece came away, as you can see it has very little in the way of roots. 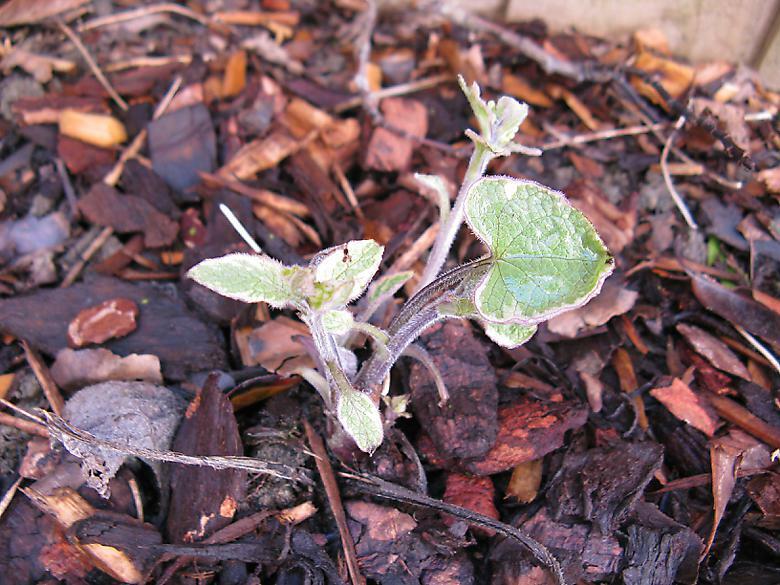 I think that is all that is left, although it is possible that the rest of the plant is safe and will sprout later. 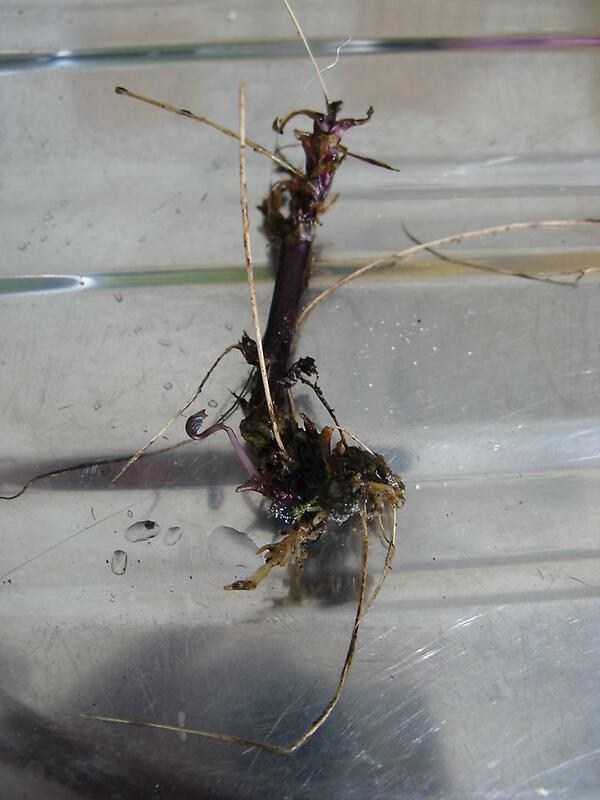 It had a few beasties crawling over the roots, so I removed them, washed it under running water and put it in a pot. Will have to see how it fares. It is wonderful to see the plants returning in Spring, especially the new ones that were planted last year, which are so far unproven. 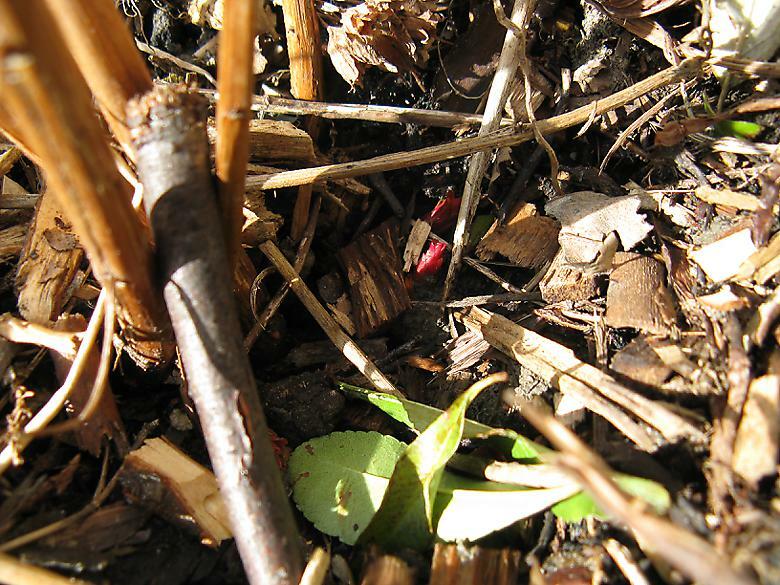 There are some tiny red shoots appearing low down in the lythrum. 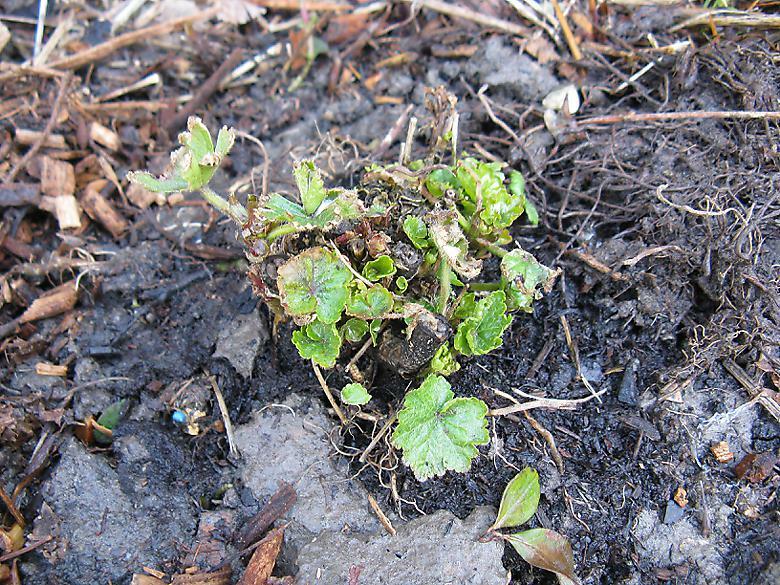 The Brunnera, this is a piece from the main patch that was removed and planted at the side to make room for a Tiarella. The Tree is starting to burst into leaf. My Eryngium 'Neptunes gold' is on a yellow card after failing to flower last year - or even to grow any bigger. Wasn't even sure if it was going to come back, but here it is. 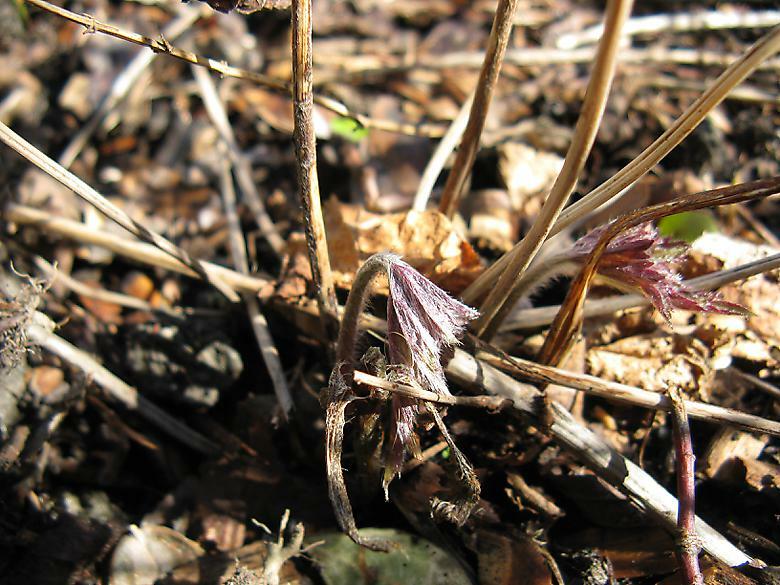 Signs that at least one of the Japanese anemones is returning. I moved the other one so it had more space. This one doesn't have much space either and needs moving, or alternatively I will move the Salvia next to it. This is the Polemonium yezonense "Bressingham Purple" which bought at the end of last year after it had died back. Lots of growth which is good as I haven't seen it flower yet. 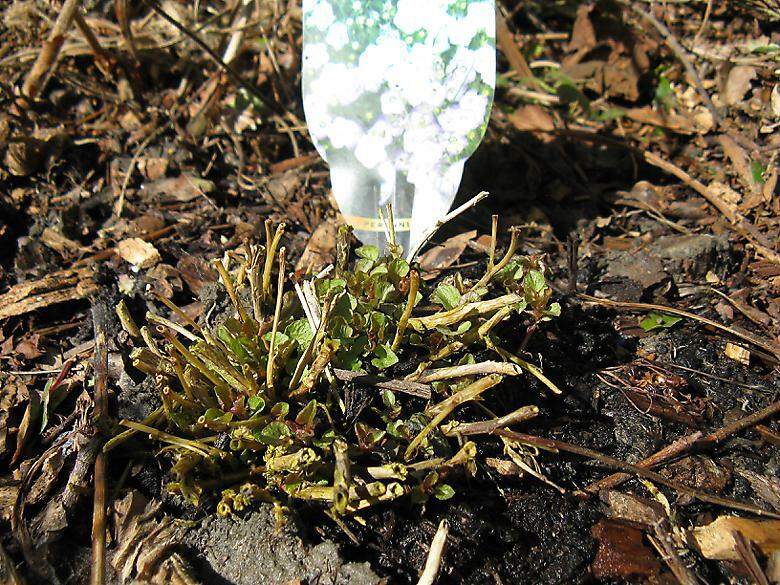 Tiny little leaves opening out from the Sanguisorba "Tana", showing that this is another survivor from last year. Some of the plants that were planted this month. 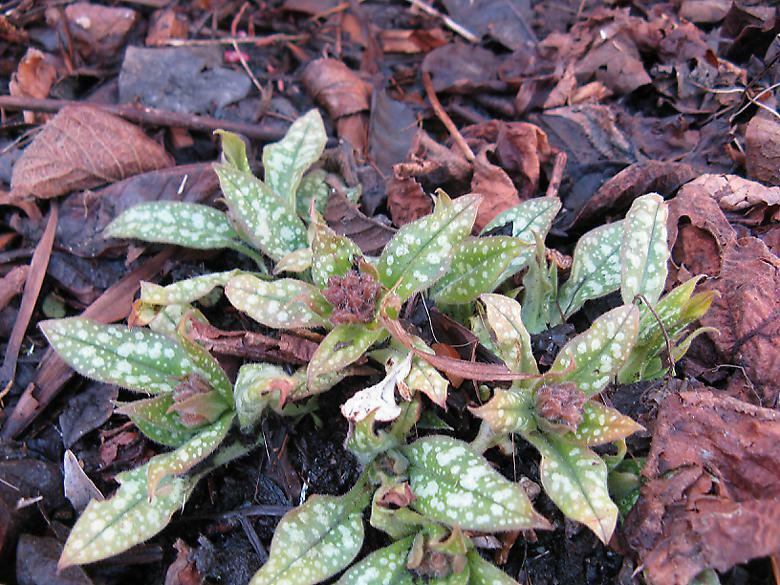 The Pulmonaria has distinct flower buds now. It is newly planted this year. Not new, but I moved it from the side of the house where it did not flower last year. It is now somewhere where it will get plenty of sun. 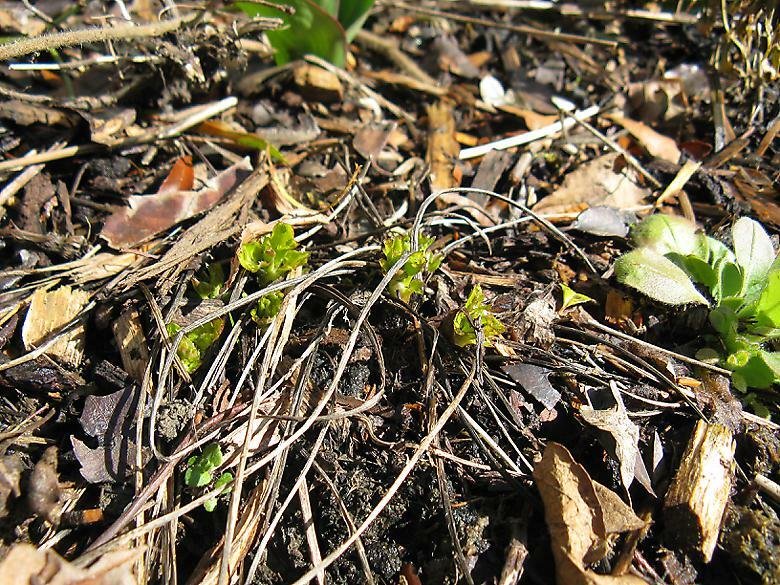 Campanula 'Sarastro', new this year, a few shoots can be seen. Rudbeckia 'Little Henry', new this year. Had shoots when I bought it, and these are pretty much the same as then. Helenium 'Siesta'. This had shoots when I bought it, and they have grown a little bit since then. This is Sidalcea 'Little princess' this has just been planted. Also on view is the gray clay that passes for soil around here. This is a low growing Campanula ('Samantha'), this is also new this year and this is pretty much how it looked when it was bought.